Antique 19thc Silver & Cow Horn Scottish Beaker. C1860-80. 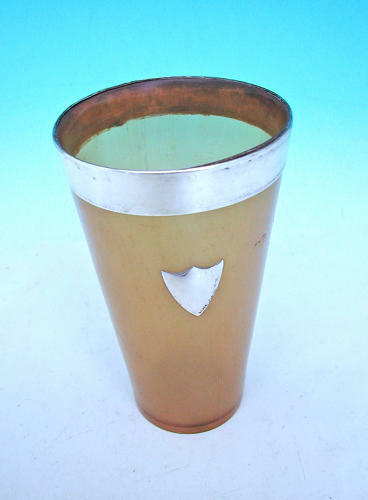 A pleasing late 19thc cow horn beaker, it is banded in silver and is also decorated with an applied silver shield, although not hall marked it is stamped silver on the rim and shield....the horn has a very nice clear translucent colour which allows the light to shine through giving it an attractive appearance...no cracks or chips.